For a while now, I’ve wanted to read Francois Lelord’s famous bestseller Hector and the Search for Happiness. And as I found myself in need for some happiness recently, I gave it a shot. Hector travels from Paris to China to Africa to the United States, and along the way he keeps a list of observations about the people he meets. Combining the winsome appeal of The Little Prince with the inspiring philosophy of The Alchemist, Hector’s journey around the world and into the human soul is entertaining, empowering, and smile-inducing—as winning in its optimism as it is wise in its simplicity. Hector and the Search for Happiness is a novel set in various countries around the world and at first, I found it interesting that Mr Lelord doesn’t call those countries by their names but rather prefers to describe what they are famous for. As I read on, I noticed that this was one of Lelord’s quirks that would become annoying the more I encountered them. Hector, our main character, is a psychiatrist but I really didn’t buy that. Sure, sometimes he thinks and says very smart things, but most of the time he acts and thinks like a child or maybe a pubescent. Or is this what men are really like? 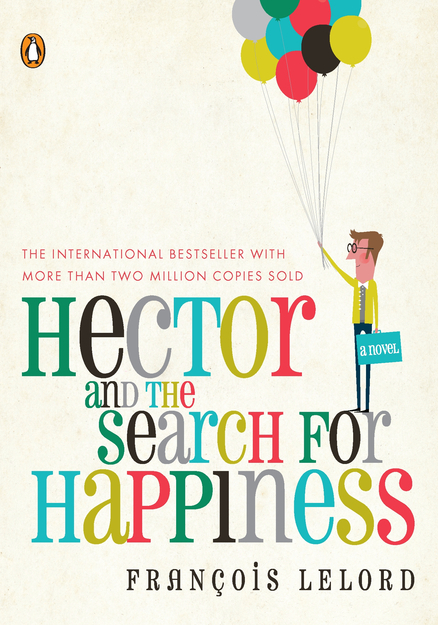 Plot-wise, Hector and the Search for Happiness is a bit repetitive. Hector visits various countries, but what he does there doesn’t differ much from what he did in the last country, with one tiny exception that helps to speed up the story. What I really can’t stand is the writing style. The novel is written like a children’s book. And maybe it is one. I don’t know. While this writing style was original at the beginning, it started to get so annoying I was considering quitting the book. Well, I sat through it ’til the end. If you think you can handle a novel targeted at adults with the writing style of a children’s book, buy it. I mean, it’s a bestseller after all. I don’t know why. * A quick note: I love children’s books, but this didn’t work for me. I’m glad I read your review! I’ve picked this one up so many times but was put off by the writing style! I’ll know to avoid this one completely now! I’ve been there with other books! I feel your pain!